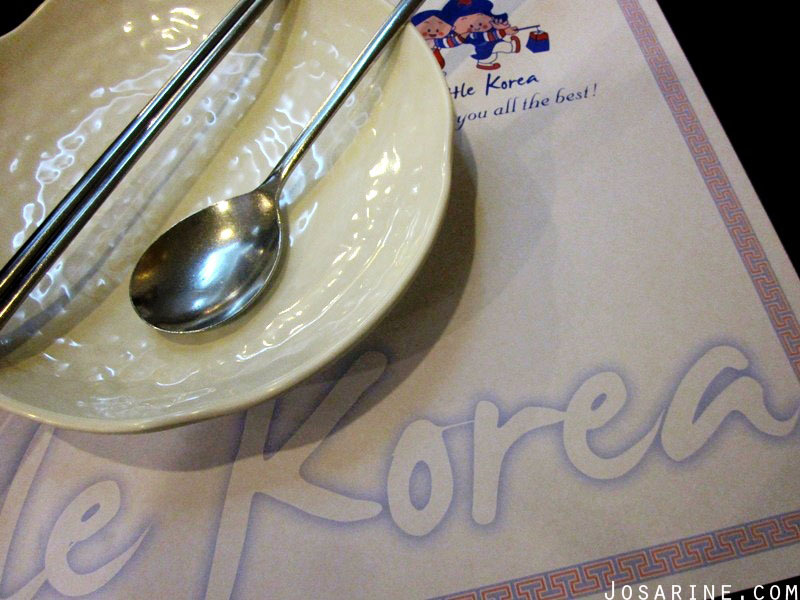 It is time for Korean Food!!! 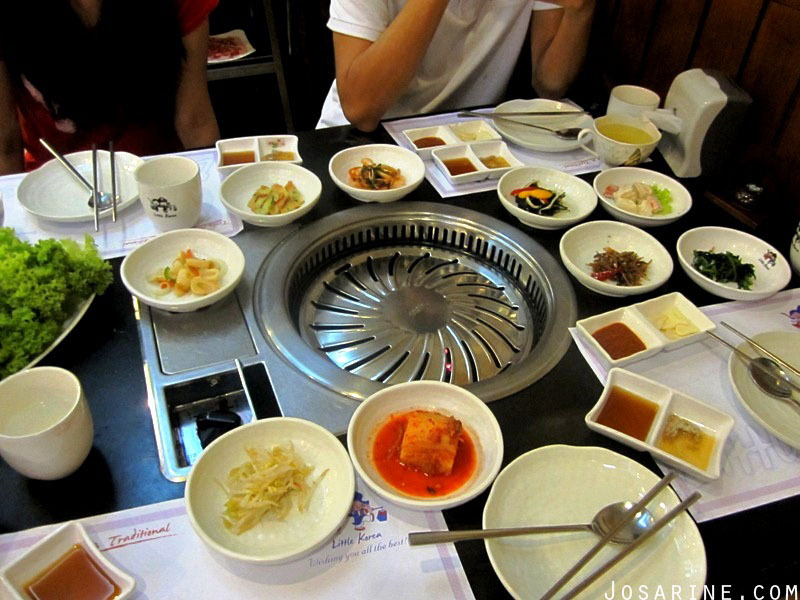 Few days ago I was craving for Korean and while thinking of what to eat after church just last night, I suggested Korean! 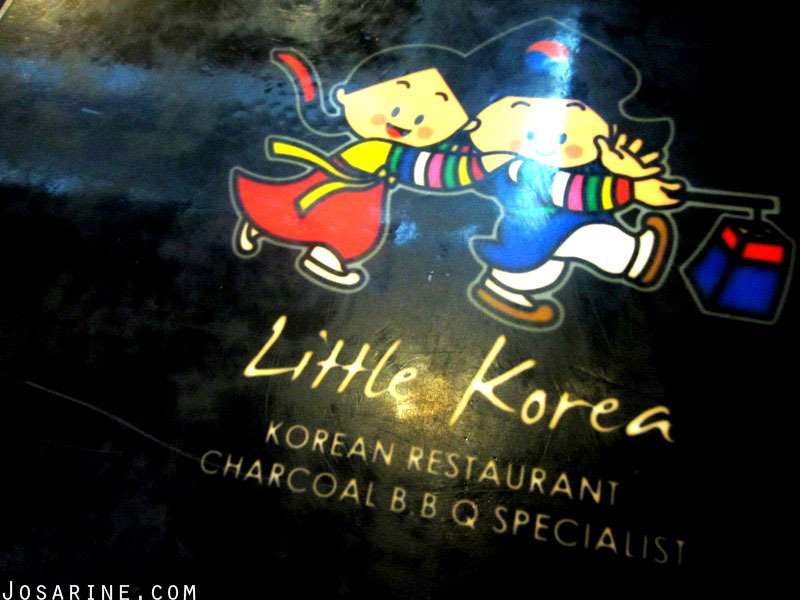 My brother who was driving agreed to my suggestion and we went to Solaris Mont Kiara for some Korean. 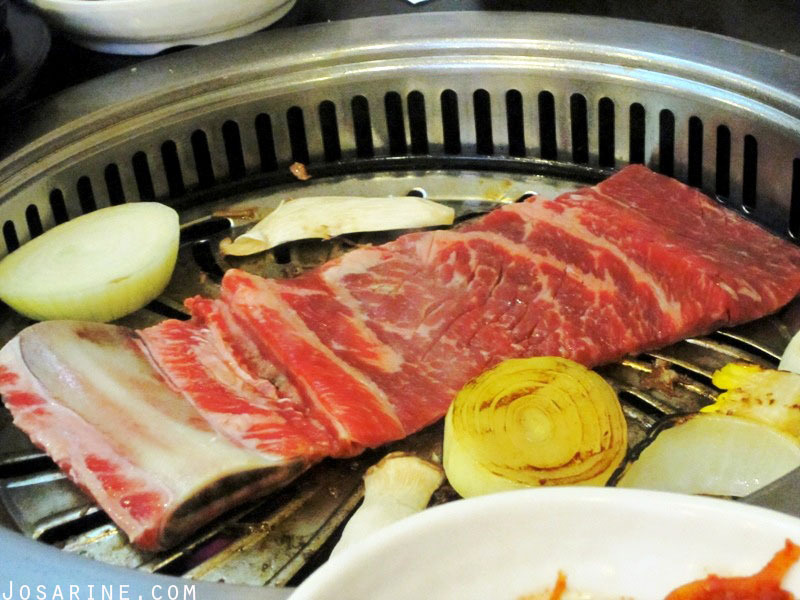 At first we wanted to go to this Korean BBQ restaurant above "Chilla Cup" called "Bonga" if i'm not mistaken. Unfortunately, full house. Hmm... the food there must be really good then... gotta go back there again to try their food. Meatttt! <3. 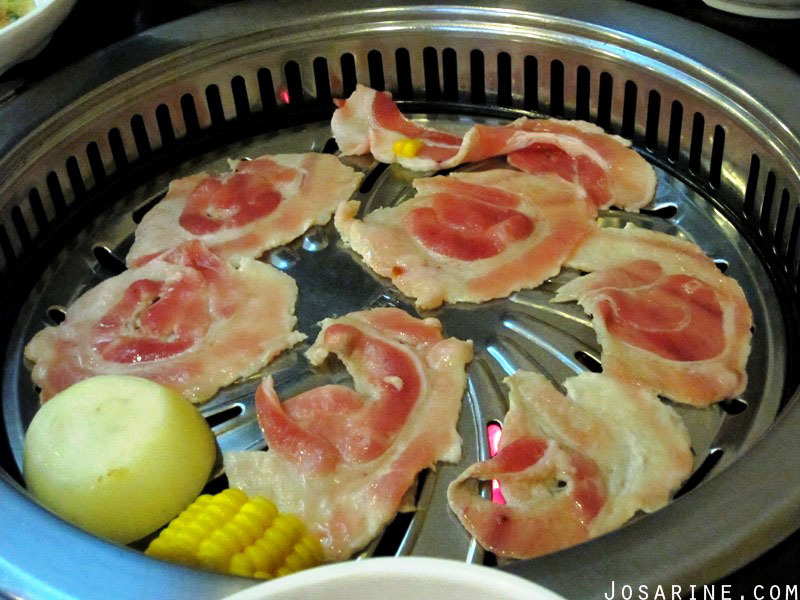 This is called "Sam Gyoub Sal", which means "Fresh Belly Slice" @ RM29.00. 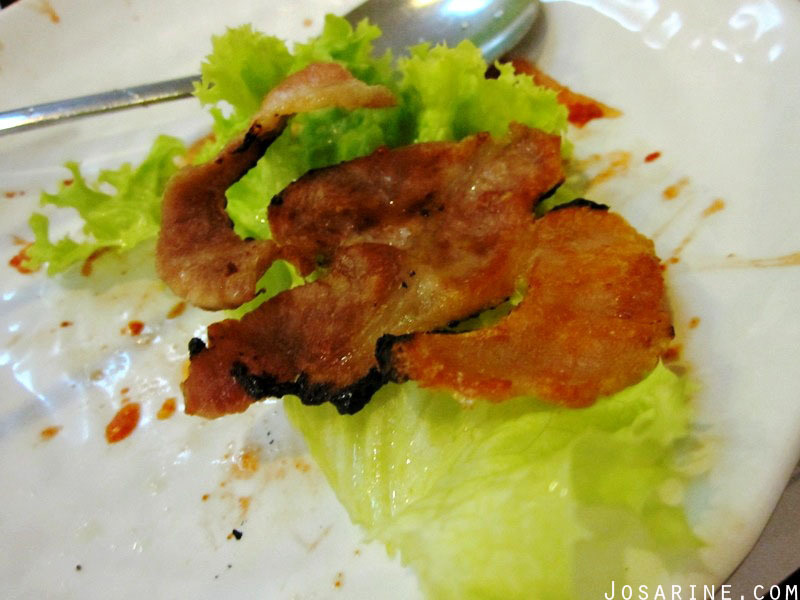 When the waiter started frying it, the smell reminded me of bacon. Taste wise, like most BBQ they are tasteless, that's why you need the sauce, and add some of the side dishes to enhance the taste. 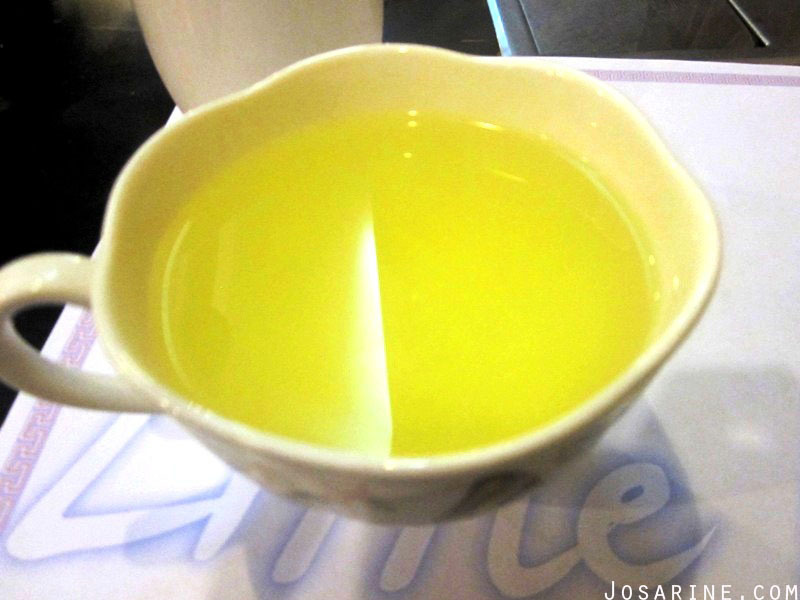 Although their Green Tea isn't free, i'm glad my mum ordered them because the "Fresh Belly Slice" is kinda oily. 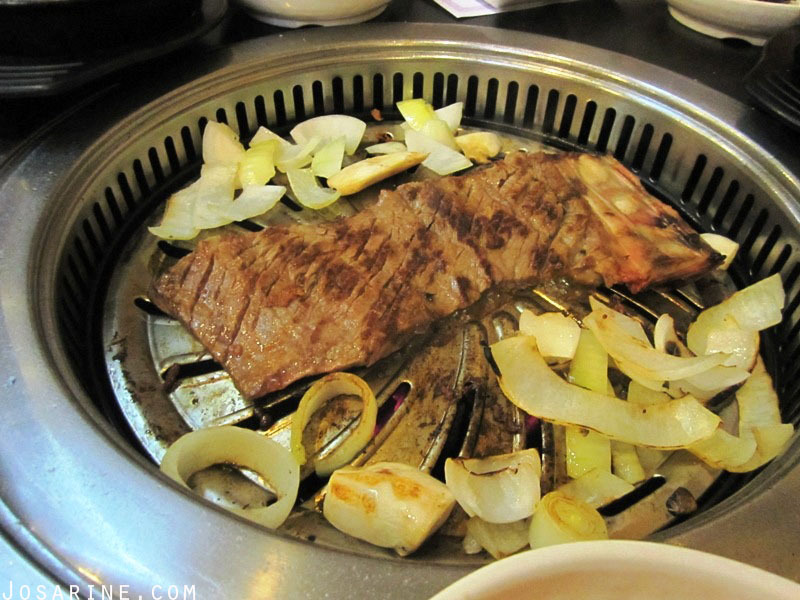 This is called "Bul Gal Bi" which is their "Fresh Spare Rib Marinated in House Sauce" @ RM72.00. My brother suggested to the waiter to have it cooked medium rare so that we can taste the juiciness of the meat. 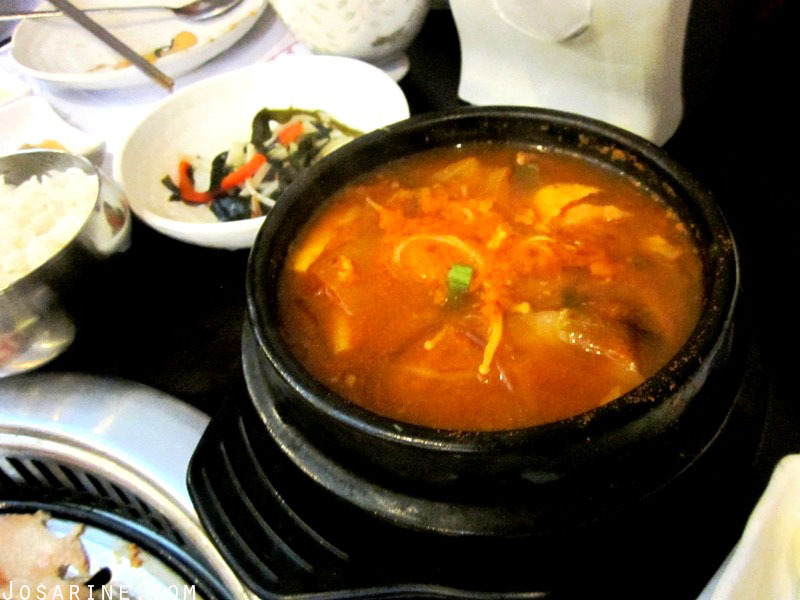 Kim Chi Jeon is a Korean Kimchi Pan-Fried dough of flour, squid, shrimp, clam, and scallions, sweet taste of cooked scallions and seafood flavour. This cost about RM27, and are often called Kimchi Pancake. 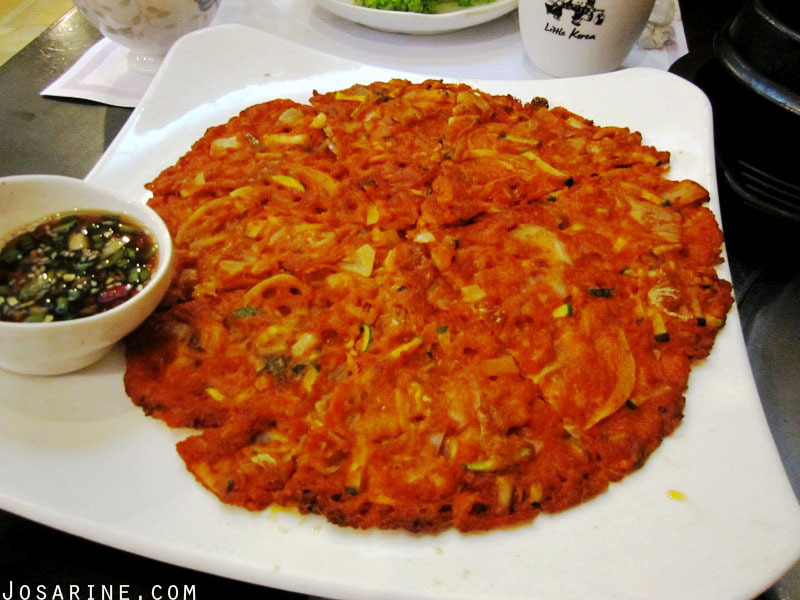 Since the first time I ate Kimchi pancake from another restaurant, I hated it and thought the taste was weird. But because we had no rice and I was still hungry, so i jut took a slice. Revisit: I would, but probably won't crave for them. It is yummy! But the price not so yummy... lol.